So long, Helpouts. We hardly knew ya. 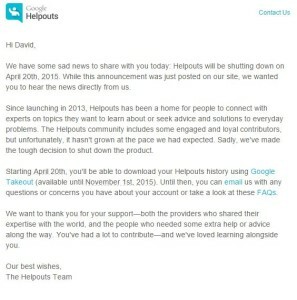 Google Helpouts, the service that tried to put you face-to-face with a subject matter expert via Google Hangouts is being discontinued today, as stated in an email going out today. 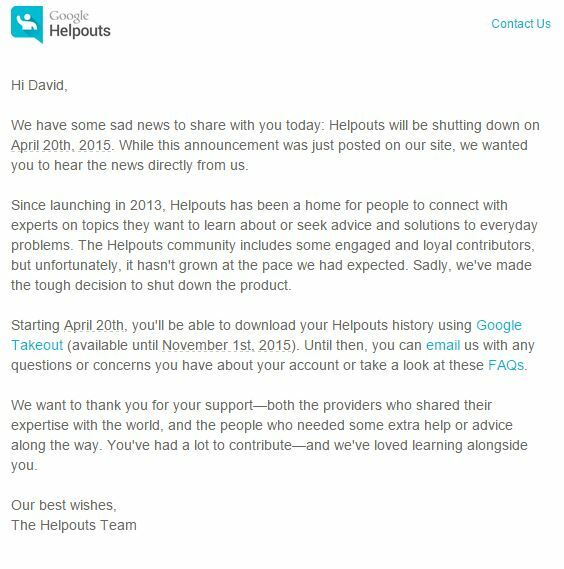 We have some sad news to share with you today: Helpouts will be shutting down onApril 20th, 2015. While this announcement was just posted on our site, we wanted you to hear the news directly from us. Since launching in 2013, Helpouts has been a home for people to connect with experts on topics they want to learn about or seek advice and solutions to everyday problems. The Helpouts community includes some engaged and loyal contributors, but unfortunately, it hasn’t grown at the pace we had expected. Sadly, we’ve made the tough decision to shut down the product. Starting April 20th, you’ll be able to download your Helpouts history using Google Takeout (available until November 1st, 2015). Until then, you can email us with any questions or concerns you have about your account or take a look at these FAQs. We want to thank you for your support—both the providers who shared their expertise with the world, and the people who needed some extra help or advice along the way. You’ve had a lot to contribute—and we’ve loved learning alongside you. Can’t say I’m surprised, and I’m glad I didn’t invest any time into this endeavor. 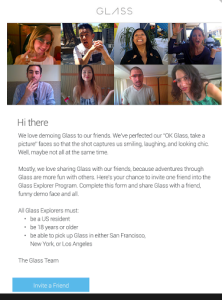 This entry was posted in Google, Internet and tagged Google Helpouts, Shutdown on February 13, 2015 by David. Like many, I use Google services for email, voice, and messaging… it is pretty much my primary mode of communication in one form or another. 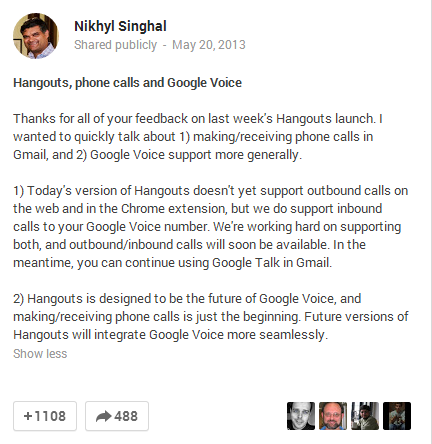 I’ve been very happy for years with my Google Voice + Gmail + Gtalk setup…. until today… when I realized that I could not dial into my conference bridge for my 8am meeting. “Wait- there’s GOT to be a way to do this”, I thought to myself. Nope. After digging around on the Google Voice forums, it was confirmed: You can no longer place outbound calls from Google Hangouts, Gmail, or the Chrome extension. Google is moving real-time communication to their new “Hangouts” platform (or at least the look-and-feel). This means that Voice, SMS, chats, video calls will eventually all be contained in Hangouts, instead of having different interfaces all over the magical world of Google applications. This is a great thing… but it doesn’t seem like they are ready for prime-time. I guess I’m just thankful they aren’t dropping Google Voice entirely, which is a valid concern these days when it comes to Google. 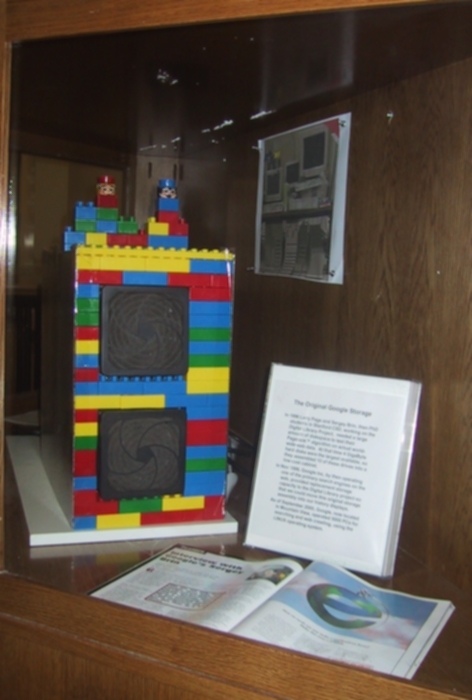 This entry was posted in Google, News and tagged Google Voice, Hangouts on May 28, 2013 by David.